.While the world mourns in grief following the death of boxing legend Muhammad Ali, Laila Ali has her own special way of paying tribute to her father and the beautiful bond they shared. The news of Muhammad Ali’s demise on Friday left the entire world in a state of shock and grief. While the entire world is grieving about losing a great boxing legend, the most affected here is the Ali family. Although people had their own special ways to pay tribute to the world’s boxing champion, his daughter Laila Ali had a very special, heart-melting way of paying tribute to her father. “I love this photo of my father and my daughter Sydney when she was a baby! Following her champ father’s footsteps.Laila also has set her career in the field. Laila Ali is a former undefeated American professional boxer. She has never failed to appreciate her father for the strength and courage he possesses. In an interview with PEOPLE last March, she explained how her father has been fighting the Parkinson’s disease for the past 30 years in good spirits. "That man continues to put me in awe. He's such a fighter, still, when at times he seems weak and not able to handle it," she said. "He comes through stronger than ever. He's still fighting regardless and I love my dad for that." 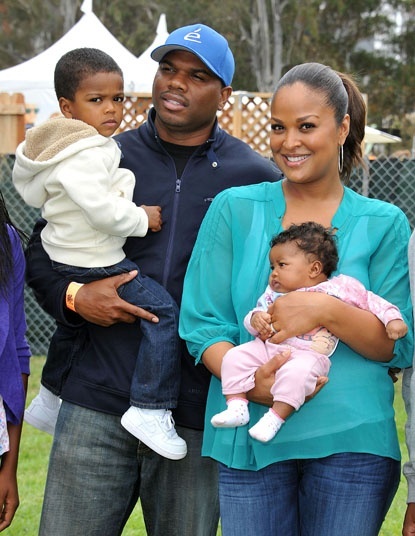 Laila Ali is the eighth child out of Muhammad Ali’s nine children; Maryum, twins Jamillah & Rasheda, and Muhammad Ali Jr. from his second wife Khaliah Ali, daughters Miya and Khaliah from extra-marital relationships, daughters Hana and Laila from his third wife Veronica Porsche, and a son Asaad Amin from his fourth wife Yolanda Williams. Talking about Laila’s personal life, she married her boyfriend, a former NFL player Curtis Conway and have a daughter together Sydney Jurldine Conway, whose photo Ali has shared earlier. "Our father was a 'Humble Mountain!' And now he has gone home to God. God bless you daddy." wrote Hana.
" The Greatest Man that ever lived. Daddy my best friend & my Hero You R no longer suffering & now in a better place."